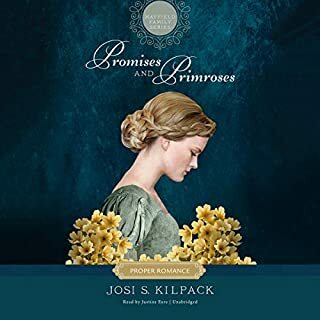 When Persephone Lancaster receives a marriage proposal from the ill-tempered Duke of Kielder, she refuses - and then reconsiders. The obscene sum of money he's offering Persephone would save her family from ruin. With her characteristic optimism, she travels to the far reaches of Northumberland to wed a greatly feared stranger. Lodged deep in a thick forest infested with wild dogs, the Duke's castle is as cold and forbidding as the Duke himself, a man with terrible scars on his body and his soul. After enjoying London's sophisticated society and the attentions of wealthy suitors, Lilly returns home to help her ailing dad. 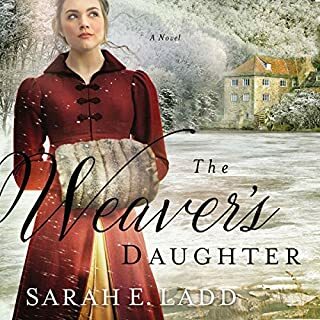 Determined to resurrect his apothecary business, Lilly labors tirelessly - praying her family's secrets and her rivals' schemes won't cloud her future. 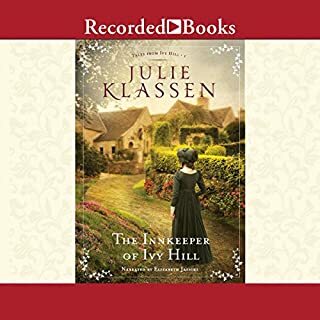 With the stunning prose and engaging characters of The Silent Governess, Christy Award finalist Julie Klassen whisks listeners away to Regency England for a compelling tale of romance and intrigue. 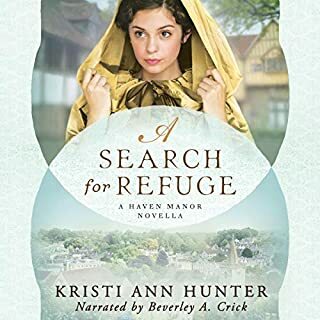 Thinking she’s guilty of a crime, Olivia Keene flees her home and stumbles upon a grand estate—and a damaging secret. To ensure her silence, Lord Bradley insists she serve in his opulent manor. The first book in the beloved Regency romance series, The Treasure of Surrey. A lovely story with fully developed characters, some danger, a mystery, and a very sweet romance. I enjoyed the story line with a curiosity shop as the backdrop. I longed for more Spiritual meditations or conversations between the characters and God, the struggle of Faith in the midst of difficult circumstances. I liked the reader's ability to make the story real. However, I had difficulty keeping pace with her. I felt she read too fast, smoothly, but too quickly throughout the piece. I enjoyed the mystery and the wholesomeness of this book. Nice sweet read. 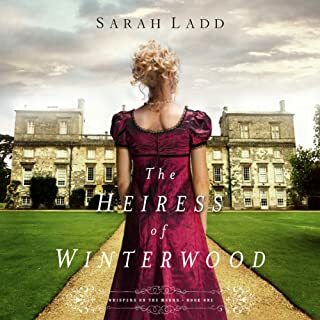 Another great book by Sarah Ladd. 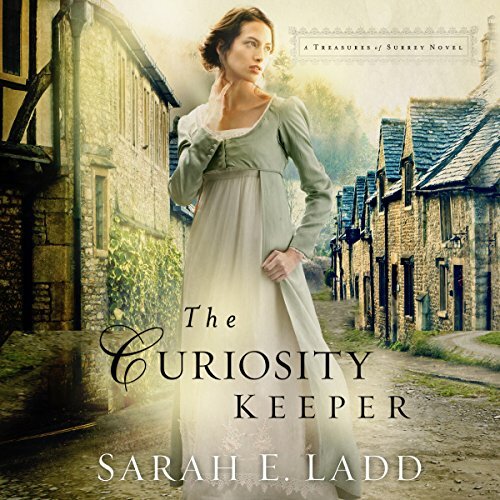 Would you consider the audio edition of The Curiosity Keeper to be better than the print version? I haven't read the print version, I only listened to the audio version. The narrator did a great job with the voices and I liked the thread of mystery that was in the story. Which character – as performed by Jude Mason – was your favorite? Danger and romance follow Camille Iverness in this mysterious regency tale. Good book, but read at too fast of pace. If you could sum up The Curiosity Keeper in three words, what would they be? Did Jude Mason do a good job differentiating all the characters? How? No, not really. I kept getting the different characters confused. Her fast paced reading didn't help. I thought this book was a bit too slow and predictable. It was a nice, easy, slow listen. The reader was fine. I story was ok I guess. It was a little slow and tried to be a little to bit too philosophical in the end. It’s hard to say how much I may have liked it if it were not for the absolutely horrid narration. I saw this was produced by audible so I thought that was a safe bet. I slowed the reading down as much as I could just do I could follow the story. There was little to no variety or distinction in voice/ characters. Overall just badly done. The characters are believable and interesting. The story was not overly predictable. I enjoyed the discriptions. Loved it so much!! Clean, mistery that will keep you reading until the very end? It's listed as historical fiction, but from the description I expected a bit of mystery and romance, as well as discussion of antique curios. There was no mystery and no discussion of curios. The historical descriptions were interesting, but somewhat limited. 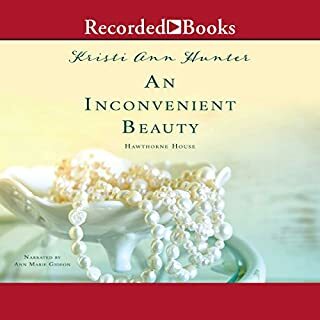 There is a HEA, but the romance was so realistic and subdued that I had to look twice to make sure I hadn't purchased a "Christian romance". Would you try another book written by Sarah Ladd or narrated by Jude Mason? I would try another and I might try this one again. Has The Curiosity Keeper put you off other books in this genre? No definitely not, maybe I need to listen to it at another time.